Do I need a Will in Louisiana? Here's what happens if you die without one. If you kick the bucket in Louisiana and haven’t prepared at least a basic Last Will and Testament, you have opted to put the fate of your estate in the hands of the State of Louisiana and your property will be distributed by intestate succession. Not that there is necessarily anything wrong with this, but your property may end up in the hands of people you didn’t want it to. Louisiana has a unique set of laws that dispose of a deceased’s property by operation of law when someone dies without a will. Louisiana intestate succession law can be extremely complex and shouldn’t be taken lightly. It’s highly recommended that you speak with an experienced Louisiana succession lawyer to at least determine what your rights in the estate are and to see if you need to file a succession to be placed into possession of your inheritance. 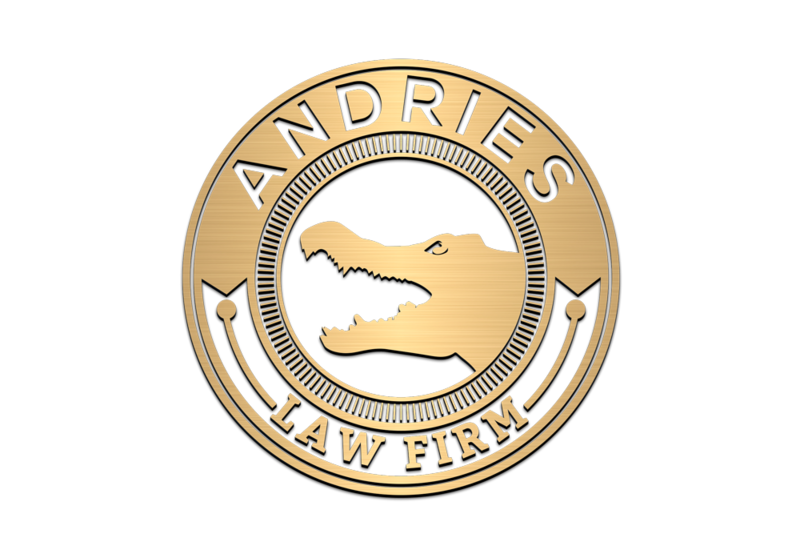 The Andries Law Firm handles all types of Louisiana successions and can guide you along the way. Remember when we said Louisiana succession law was extremely complicated? This article will attempt to shed some light on a convoluted subject, but as always, it’s recommended to speak with an experience Louisiana succession attorney. This information will be helpful for those who are on the fence about seeing a Louisiana estate attorney about forming a Last Will and Testament, as well as heirs who have found themselves dealing with the estate of a loved one who died without a will. As we’ve discussed in previous articles, if you have a valid Louisiana Last Will and Testament, you have set up specific directives dealing with your property. You can do just about anything that you want with your property, with some obvious exceptions. What if I don't have a Will in Louisiana? In the alternative, if you do not have a will, the State of Louisiana basically provides you with one. Louisiana has adopted a rigid set of laws that tell you what they will do with your property and who will inherit. There’s nothing that can be done after the fact, it will go to who it will go to, even if you wanted someone else to inherit. Sounds pretty harsh doesn’t it? In some cases it absolutely is. But, there’s a reason for this complex set of laws. If you don’t take the time to make your own arrangements, someone else will. Ok, enough preaching about the importance of writing a will. We’ll break down the law and what it means (any questions can be directed to us via email or phone). Whew, that’s a lot to take in. Basically, it means that your property will go to your relatives, starting with your biological and adopted children and spouse and then extending to other blood relatives, such as siblings, cousins, aunts and uncles, grandparents, etc. What is the Difference Between Separate Property and Community Property in a Louisiana Succession? 1. Classification of property; separate property vs. community property. 2. The degree of relationship of the relative to the deceased. Before we go any further, let’s have a discussion about separate property vs. community property. If a person is married, or has been, it’s important to take a look at the classification of property to determine if any is community property. I promise it will only take a minute. Louisiana is a community property state. This means a married person’s property is classified into two separate groups; community property and separate property. Community property in Louisiana is covered by Louisiana Civil Code Article and states that community property is "Property acquired during the marriage through the effort, skill or industry of either spouse; property acquired with community things or with community and separate things; property donated to the spouses jointly; natural and civil fruits of community property; all other property not classified by law as separate property." To over simplify; separate property=things acquired before marriage, community property=things acquired during marriage. Most people who have been married have a little of both. Louisiana intestate law distributes these two groupings of property differently. We’ll begin our discussion with separate property. How is Separate Property distributed under Louisiana Intestate Law? If a person dies in Louisiana intestate (without a valid will), the State of Louisiana divides their separate property among blood relatives and adopted children. Some groups of relatives have priority above others. Children first.Louisiana’s intestate succession body of law provides for the distribution of an individual’s separate property to the children first. This includes both biological and adopted children. Each child shares equally. In the event one of the deceased person’s child passed before them, that child’s children will inherit by roots. The grandchildren will share equally in the percentage their deceased parent would have inherited had he/she survived. For example, let’s say Michael Scott has four children, Dwight, Jim, Toby and Andy. Toby dies before his father, Michael Scott, leaving a daughter. When Michael dies, his three surviving children (Dwight, Jim and Andy) will each inherit ¼ of his separate property and Toby’s ¼ will pass onto his daughter. Had Toby had two daughters, they would split his portion or ¼ between the two of them. No children, but surviving siblings or parents. If a person dies without children, but is survived by parents and/or siblings, the siblings inherit the separate property subject to a usufruct in favor of the surviving parents. Oops, we didn’t discuss usufruct yet. Usufruct is the “use” of a thing, meaning, an individual such as a parent or a surviving spouse is granted the ability to use the property while someone else ‘owns’ the property. (This article further explains Usufruct in Louisiana). No children, no parents, but surviving siblings. If a person dies in Louisiana leaving neither children nor parents, then his/her siblings or their descendants from them succeed (inherit) the separate property in full ownership. No children, no siblings, but surviving parents. If a person leaves neither children, nor siblings, nor descendants from siblings, his/her parents succeed (inherit) the separate property in full ownership. No children, parents, nor siblings. If a person dies without children, nor parents, nor siblings or descendants from them, his spouse shall succeed (inherit) his separate property. No children, no parents, no siblings or descendants from them, nor surviving spouse. This is where other family members come in to inherit the separate property depending on the family relationship. Those closest in relation to the deceased will inherit to the exclusion of all others. No children, no brothers or sisters, no descendants from siblings, no parents, spouse still alive. If the deceased leaves neither descendants, nor parents, nor brothers, sisters, or descendants from them, his spouse not judicially separated from him shall succeed to his separate property to the exclusion of other ascendants or other collaterals. Basically, if you have no children, siblings, parents and are still married; your spouse will inherit your separate property. How is Community Property Distributed Under Louisiana Intestate Law? Louisiana intestate law distributes a deceased person’s community property either to his surviving spouse or descendants. Louisiana Civil Code Article 889 explains that if a deceased leaves no descendants, his surviving spouse succeeds to his share of the community property. This means if a person is married with community property in Louisiana and doesn’t have descendants, then his/her spouse succeeds to his/her portion of the community property. Remember, each individual in a marriage already owns their ½ of the community property, this just allows them to succeed to the other half and own it 100% outright. What if my Spouse Survives me and I Have Children Under Louisiana Intestate Law? Article 890 explains the usufruct of a surviving spouse when this happens. Remember, ‘usufruct’ means ‘use’ of the property. The surviving spouse is given a usufruct (use) over the deceased spouse’s ½ of the community property. The descendants have naked ownership over that ½, but the usufruct (use) lasts until the surviving spouse either dies or remarries, whichever happens first. Let’s try an example: Jim married Pam and they purchase a house together. They have two children. Jim doesn’t execute a valid Last Will and Testament and places Pam’s future in the hands of the State of Louisiana. Jim dies intestate (no will). Pam owns outright her ½ of the community property and has usufruct over Jim’s ½. Her usufruct (use) will last until either she remarries or dies. Their two children are the naked owners of the property and will inherit that portion when the usufruct ends. There probably isn’t much of an issue in this example because the two kids are hers as well and they probably would eventually inherit the house from Pam when she dies. However, I want to give one more example of a situation that occurs too often and can have harsh effects. Say for example Jim already had children before he married Pam, making her their stepmother. They buy a home together (community property). Jim didn’t execute a valid Last Will and Testament in Louisiana. He dies, leaving her with the home. Louisiana intestate law would come into play giving her a usufruct (use) of Jim’s ½ of the home and his children (her stepchildren) have naked ownership of Jim’s ½. She owns her ½ of the community property outright. See the problem? Jim may have wanted Pam to own the house outright 100% and never thought his children would give her trouble, but now they can. They will always be ½ owner of Jim and Pam’s marital home because he didn’t execute a valid Louisiana Last Will and Testament. If you think this doesn’t cause problems, then I invite you to come sit in my office for a few hours and hear some of the horror stories. Should I hire a Louisiana Succession Attorney for my Family Member's Successions? This depends solely on you. An attorney isn't necessary, but succession law in Louisiana can be tricky. You want to make sure that it's done right and in a timely manner. If you are unsure, give us a call and discuss your situation with us. If you have any questions regarding Louisiana succession law or need help filing a succession, call The Andries Law firm and speak with an experienced Louisiana Succession Lawyer 318-229-1608 or email Jerome@AndriesLawFirm.com. CONTACT A LOUISIANA SUCCESSION ATTORNEY TODAY!